Georgia Highlands College’s pilot STEMFIT “math boot camp” is the first of its kind in the University System of Georgia. Its aim is to help incoming high school dual enrollment students or college freshmen be prepared to start at a collegiate mathematic level of pre-calculus or higher. Largin explained that the pass rate for the college algebra exemption test is historically low due to those topics being covered early in a student’s high school career. To combat low pass rates, GHC developed a week-long “math boot camp” to prepare students for the first years of college and to pass the college algebra exemption test. This is particularly advantageous for freshmen entering STEM fields, Largin added. STEM is an acronym for the fields of science, technology, engineering and math. STEM relates to academics and careers focused in corresponding fields. 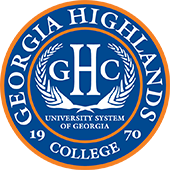 The pilot program was free and is sponsored by the GHC Center for STEM Learning and a University System of Georgia STEM Initiative grant. Five students completed GHC’s first camp. Three went on to pass the college algebra exemption test and will be registered for pre-calculus in the fall. Two went further and passed the pre-calculus exemption test, as well, and will be registered for calculus in the fall. The camp will continue next summer and expand to more students. The camp and the in-house exams are free. For more questions or to register for the next one, contact math@highlands.edu or call 678/872/8099.